I just finished reading this book about walking the Camino. 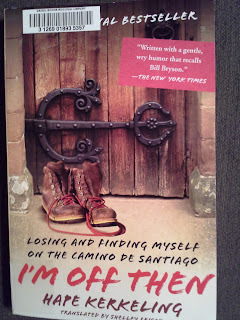 I've always been fascinated by pilgrimages and have read several books about the Camino and about going on such a walk. I have a blog friend who will be walking the Camino in April with several friends. I am looking forward to traveling vicariously along with her. 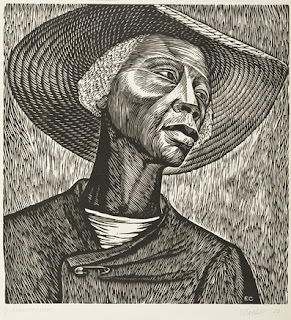 Elizabeth Catlett: Linoleum cut "Sharecropper". 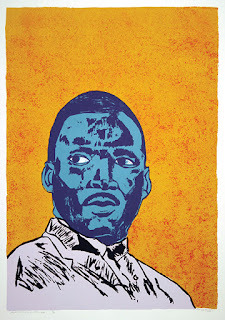 I adore woodcuts and I think this is just wonderful. 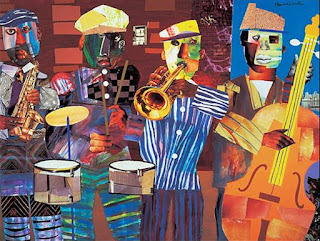 Other artists in the exhibit are Faith Ringgold (most of us know her work), Romare Bearden (fabulous color!) 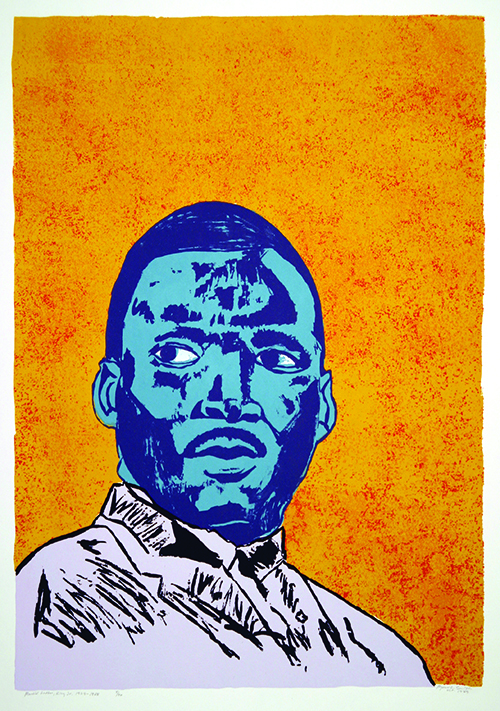 and Jacob Lawrence. Wonderful discoveries for me! 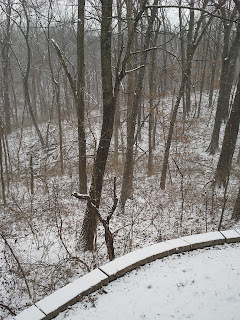 It's cold and snowy here this week-yesterday morning it looked like we might get some accumulation, but it didn't amount to much--but it is cold--my back does not like it! And one more floral after the dreary winter scene. Have a good week and please take the time to leave me a comment even if it is just to say "hi"! I love your colorful florals especially that first one with the alcohol inks. Very lovely. I always enjoy your lovely works, but your florals are always my favourite :) Great post! Have a good weekend!! Janet I love your floral! Janet, I especially love your color usage and placement on those florals! So many wonderful things to comment on in your post. First, you are so good at checking out artists and trying new things. The best way to learn. 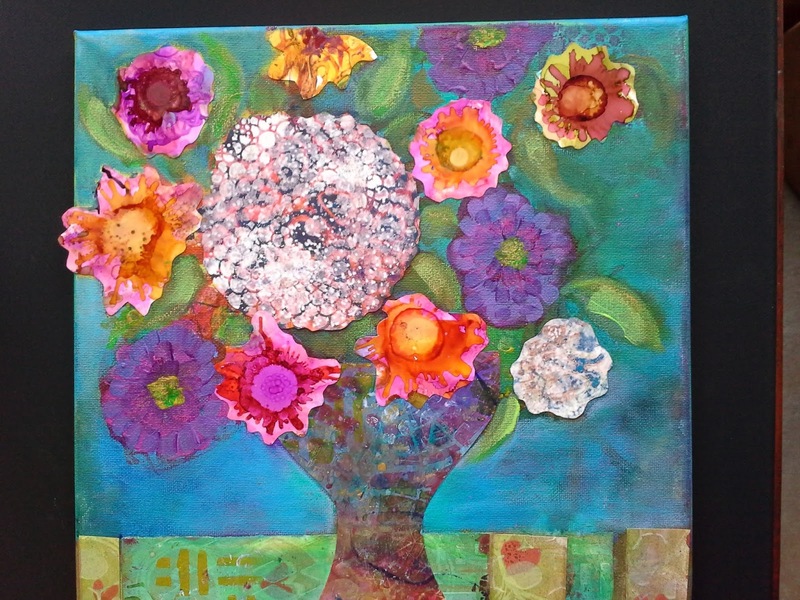 I especially loved the composition and color combos in the second floral. The swirling pattern in Elizabeth Catlett's linoleum cut reminded me of Van Gogh. And yes, Romare Bearden's piece, amazing. Finally, we would love a little winter weather here in LA. Although beautiful, it's been 88 degrees. Wonderful paintings Janet! The floral one is lovely and colorful! 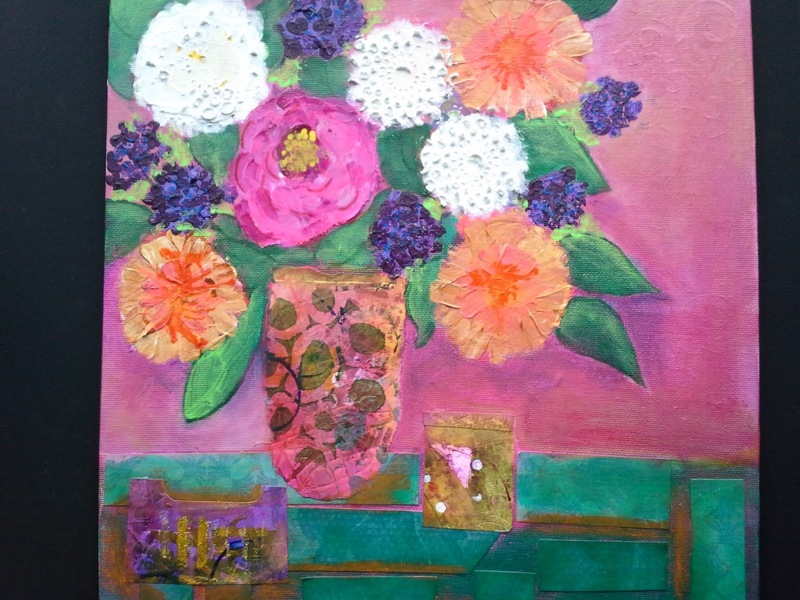 I love your still lifes, the dimensionality (is that a word?) is beautiful. And the colors! You do color SO well! Those lovely bright flowers are just the thing to brighten a dreary day! There is always something educational(not to say beautiful) in your posts. This was a good post janet and I like all the pictures. Checking to see why i can comment to you and not to Lorena or Lee. Think it has to do with this box and the way it is set up! WOWZA! What?? 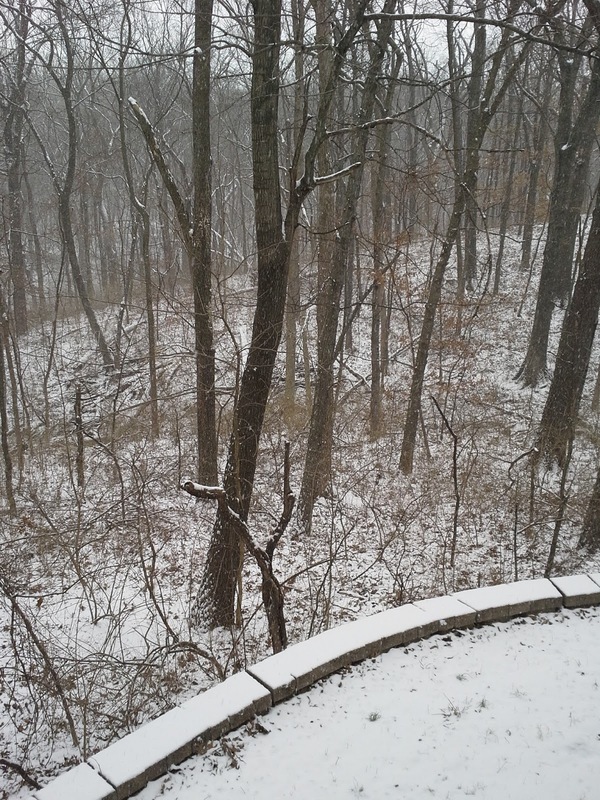 ?Finally--a new blog post!